R. Williford sent in some of his earlier writings and wanted us to share them with you. Here’s one from 2010 — sad that it still applies today. 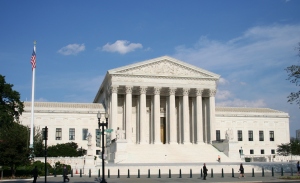 Recently, the U.S. Supreme Court ruled that it violates the Eight Amendment ban on cruel and unusual punishment to sentence a juvenile offender to life without parole when he has not committed homicide. The court went so far as to say that the states did not have to guarantee such juveniles eventual freedom but would have to guarantee some meaningful opportunity (other than clemency hearings) to obtain release upon demonstrated maturity and rehabilitation. In other words, they would have to make these juveniles parole-reviewable. We have many juveniles in Arkansas prisons with a regular life sentence who have not committed homicide, yet are not parole-reviewable. In Arkansas, a life-without-parole sentence is the same as a life sentence for parole review purposes; there is no possibility of parole review for either sentence. Please contact your senators and representatives and demand that Arkansas comply with the U.S. Supreme Court’s ruling and give these mostly minority juvenile offenders serving regular life sentences for non-fatal crimes meaningful parole review. We have another unique opportunity to quell our racist history in the South by doing the right and moral thing in this racially unbalanced and unconstitutional practice.